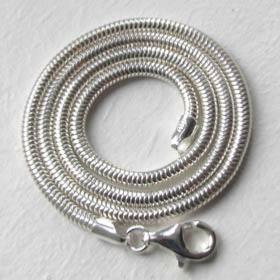 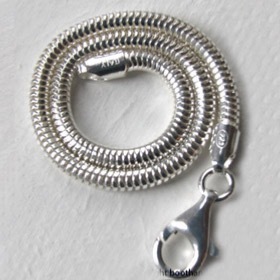 Italian sterling silver snake bracelet. 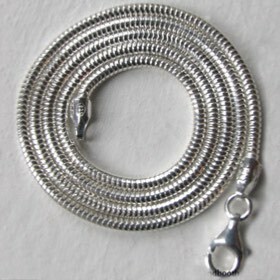 This beautiful fine snake bracelet is 1.2mm wide and made by one of Italy's finest chain makers. 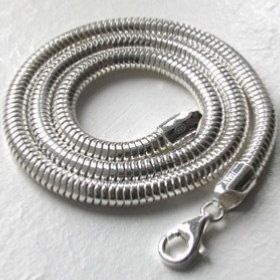 Chic and elegant, this unique snake bracelet combines the sparkle of diamond cutting with the matt black of ruthenium plating. 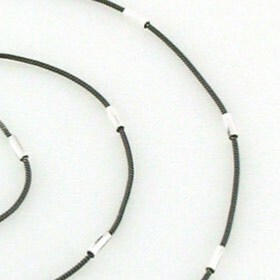 The tubes are spaced at 2cms intervals. 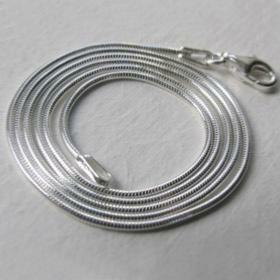 This diamond cut snake bracelet has a come and go effect on your wrist as the bright edges of the cut sterling silver catch the light. 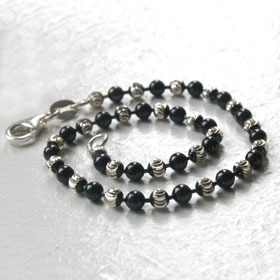 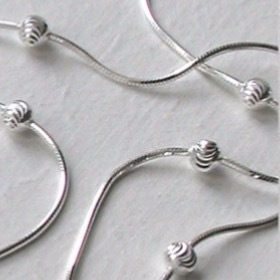 Perfect worn alone but also excellent in multiples or with other sterling silver bracelets. 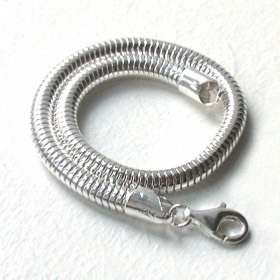 This silver bracelet fastens with a lobster claw clasp. 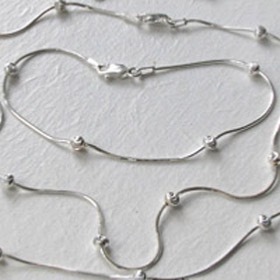 See the matching snake chain necklace (below).